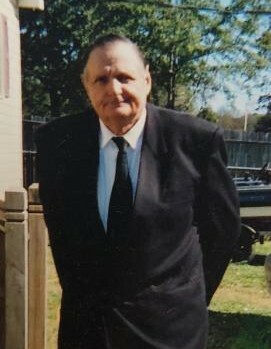 GORDON WALTER RATLIFF, age 77 of Lawley, passed away on March 29, 2019 at his residence following a brief sickness. He was born in Blount County, AL on December 26, 1941; the son of the late Aubert Lamar Ratliff and the late Eula Mae Rutherford Ratliff. He retired as a Chief Petty Officer in the United States Navy. He would go on to retire a second time from the Burlington Northern/Santa Fe Railroad after 38 years of service. He also was a former volunteer firefighter with the Birmingport Volunteer Fire and Rescue Department in Jefferson County, AL. He is survived by: Wife of 16 years, Frances Ratliff of Lawley; Daughter, Tammy Dunn of Bessemer; Son, Brandon Ratliff of Bessemer; Step-Daughter, Cherry Atchison of Lawley; Step-Daughter, Jo Ann Gray of Centreville; 7 Grandchildren; 1 Great Grandchild; Brother, Darryl Ratliff of Hanceville; Sister, Joan Lankford of Huntsville; Brother, James Rutherford of Mobile; and a host of nieces and nephews. He is preceded in death by: First Wife, Linda Ratliff; and Parents, A.L. and Eula Ratliff. Funeral services will be held on Saturday, April 6, 2019 at 11:00am from the Chapel of Ellison Memorial Funeral Home in Clanton with Rev. Bruce Smart officiating. Visitation will be held one hour prior to the services. A graveside service with military honors will follow at 2:30pm in the Mt. Tabor Cemetery in Blountsville, Alabama. Final care and arrangements entrusted to the Ellison Memorial Funeral Home of Clanton, Alabama.